Congratulations to all the 2nd class pupils who made their First Confession. The children were well rehearsed and all participated so well in the cermony. 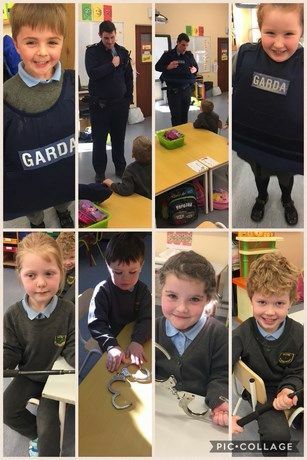 Garda Tom visited the Junior classes in our school after Christmas. He gave the pupils a lot of advice on general safety and road safety.